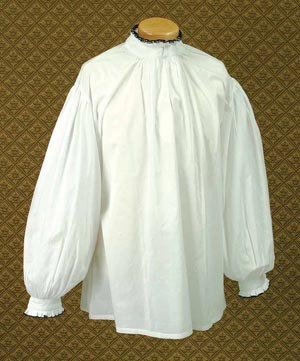 Bright white period shirt with a black edged Tudor collar. Hook & eye closure on collar. 100% white cotton.